The century-old mystery surrounding one of history’s most notorious serial killers has been solved! At least, that’s the attention-grabbing claim being made by forensic expert Jari Louhelainen and businessman Russell Edwards in their two-part “Jack The Ripper Unmasked” exposé over at The Daily Mail. 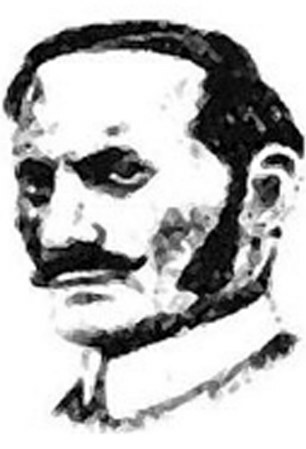 There, the two argue that the infamous London murderer was none other than Aaron Kosminski, a Polish Jew who, along with his family, had escaped the vicious pogroms of Eastern Europe by fleeing to England. [Kosminsky] was seriously mentally ill, probably a paranoid schizophrenic who suffered auditory hallucinations and described as a misogynist prone to ‘self-abuse’ – a euphemism for masturbation. McCormack said police did not have enough evidence to convict Kosminski, despite identification by a witness, but kept him under 24-hour surveillance until he was committed to mental asylums for the rest of his life. Kosminski was 23 when the murders took place, and living with his two brothers and a sister in Greenfield Street, just 200 yards from where the third victim, Elizabeth Stride, was killed. 1) Edwards is in the midst of promoting his upcoming book Naming Jack The Ripper, which hits stands Tuesday. 3) A major scientifically-backed claim like this would ordinarily be published in a peer-reviewed academic journal, not in the pages of The Daily News. So, okay, that throws something a wet towel (or, at least a damp shawl)(ew) on the exciting claim. Still, after a summer in which anti-Semitism in the UK was found to be at a record high, is it such a bad thing that I don’t get super-duper-psyched when I see the words “Jewish” and “infamous British serial killer” so close together?